The AAC Triangle Chapter organizes climbing education clinics and informal social events. Hands-on discussion and practice of the AAC Best Practices for rappelling. Technique is learned on the ground, then participants climb to the top of the wall and rappel down to practice. This clinic is for those that want to learn best practices for rappelling. A discussion of the additional skills and concerns surrounding climbing outdoors. Topics include local ethics, gear, and mitigating risks. This is the primer for the skills clinics that follow. Hands-on discussion and practice of solid anchor setup. The Quad anchor and other common two-bolt anchor setups are covered. This clinic is for climbers that want to set up a top rope anchor outside. Hands-on discussion and practice of how to remove gear (clean) and lower from the anchors after a climb. This clinic is for those who want to learn best practices for cleaning bolted top anchors outside. We're working on creating a climbing knots clinic! Check back later for dates and locations. What clinics do you want to see offered? Let us know what you think here. Join us on the first Monday of each month for a round, share your latest adventure, poll the group with a question, plan your next outdoor trip, or just hang out. All are welcome! Are you a new climber looking for a female mentor? Are you an experienced climber looking to climb with other women? Want to make friends with other female climbers? Come climb with a group of female-identifying climbers ages 18+, all skill levels. Join us at TRC Morrisville, in the area with the tall walls. There will be nametags and purple wrist bands available to find each other. 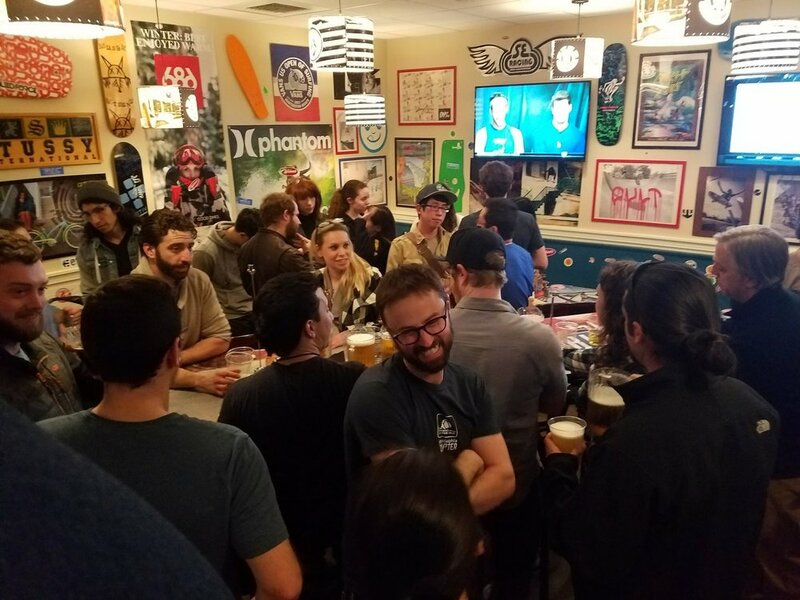 After climbing, come for a bite or a pint at Ruckus! We will have a revolving table starting at 9:30. Join us May 18th for a fun day at our home crag. Learn about some of the secret gems Crowders Mountain has to offer. We will meet at the picnic tables in the Linwood parking access at 8:45 and begin hiking in at 9am. The annual closures for Peregrine Falcon nesting are in place from January 15 through August 15th. Please respect closure signs and notices and note that due to the government shutdown, signs are not yet up in all areas. New this area is the addition of flying drones in the areas near the nests and we suggest leaving your UAVs at home rather than risking disturbing the birds. See this post for closure areas. Visit carolinaclimbers.org for more info. If you’re not a CCC member, consider joining! Two time World Cup Boulder Champion Alex Puccio will spend Saturday, June 29, 2019 at Triangle Rock Club - Durham, to help raise money for the Boys & Girls Clubs of Durham and Orange Counties and to give our climbers a magical day they will never forget! To register, and for complete details, go to TriangleRockClubwithAlexPuccio.org. Check out TRC’s community calendars for events in Morrisville, Raleigh, and Durham. Visit the group’s event page for more activities and dates. There’s always something on the schedule! Learn the basics of rock climbing in a relaxed, friendly atmosphere. Class size is kept to a minimum to allow for individualized instruction. All climbing gear is provided. Register at REI.com/learn. REI Members: $45; Non-members: $50. 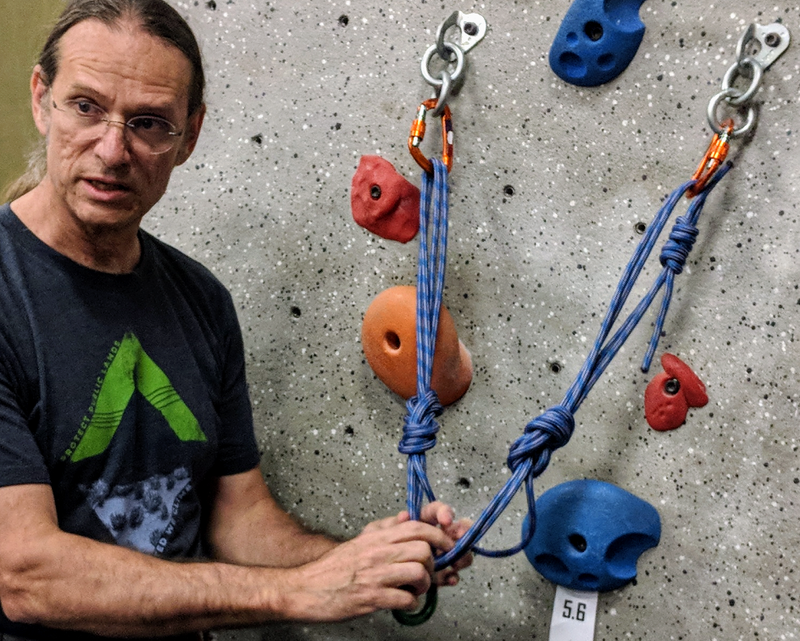 Join a professional REI climbing instructor to practice knots, and discuss anchoring principles, material strengths, and equalizing the forces applied to an anchor. All gear provided by REI. This class focuses on elements and principles of anchors, not on climbing movement. Introduction to Outdoor Rock Climbing or equivalent experience required. Register at REI.com/learn. REI Members: $40; Non-REI Members: $45. Find more REI events on the REI Website.